Examines the psychological devastation of war by comparing the soldiers of Homer's Iliad with Vietnam veterans suffering from post-traumatic stress disorder. Although the Iliad was written 27 centuries ago, it has much to teach about combat trauma, as do the more recent, compelling voices and experiences of Vietnam vets. The United States Army and the German Armed Forces traveled different paths to select, educate, and promote their officers in the crucial time before WWII. The author explores the paradox that in Germany officers came from a closed authoritarian society but received an extremely open minded military education, whereas their counterparts in the United States came from one of the most democratic societies but received an outdated military education that harnessed their minds and limited their initiative. While German officer candidates learned that in war everything is possible and a war of extermination acceptable, American officers, raised in a democracy, learned that certain boundaries could never be crossed. Examines the moral issues surrounding military theory, war crimes, and the spoils of war. The author studies a variety of conflicts over the course of history, as well as the testimony of those who have been most directly involved—participants, decision makers, and victims. He specifically addresses the moral issues surrounding the war in and occupation of Iraq, reminding us once again that "the argument about war and justice is still a political and moral necessity." 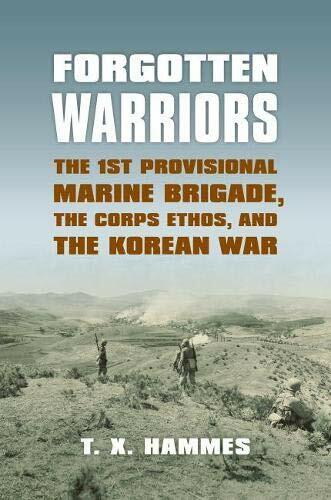 In this military memoir by the 1st Marine Division's operations officer during the 1942 battle for Guadalcanal, Twining gives us an appreciation for Marines at war from the strategic, operational, and tactical levels. His firsthand report details the fierce fighting and horrid conditions endured by Marines on the ground, the decision of US Navy to pull away from Guadalcanal, as well as addressing the role of the MAGTFs, conducting amphibious operations, hostility between the armed forces, and understanding joint and combined theater logistics. On Combat looks at what happens to the human body under the stresses of deadly battle the impact on the nervous system, heart, breathing, visual and auditory perception, memory - then discusses new research findings as to what measures warriors can take to prevent such debilitations so they can stay in the fight, survive, and win. Why are some people and organizations more innovative, more influential, and more profitable than others? Even among the successful, why are so few able to repeat their success over and over? Drawing on a wide range of real-life stories, Sinek weaves together a clear vision of what it truly takes to lead and inspire. In studying the leaders who've had the greatest influence in the world, he discovered that they all think, act, and communicate in the exact same way — and it's the complete opposite of what everyone else does. McChrystal shows how the military discarded a century of management wisdom and remade itself a network that combined robust centralized communication with decentralized managerial authority. Similar shifts are possible in all organizations, from large companies to startups to charities to governments. This book looks at military history from the battlefield and at the direct experience of individuals at the "point of maximum danger." 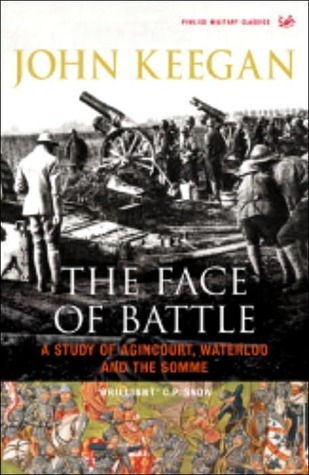 In the author’s scrupulous reassessment of 3 battles representative of 3 different time periods, he manages to convey what the experience of combat meant for the participants, whether they were facing the arrow cloud at the battle of Agincourt, the musket balls at Waterloo, or the steel rain of the Somme. Selected by the Modern Library as one of the 100 best nonfiction books of all time. In this landmark, Pulitzer Prize-winning account, renowned historian Barbara W. Tuchman re-creates the first month of World War I: thirty days in the summer of 1914 that determined the course of the conflict, the century, and ultimately our present world. Beginning with the funeral of Edward VII, Tuchman traces each step that led to the inevitable clash. Much of what will happen in the next thirty years is inevitable, driven by technological trends that are already in motion. Kevin Kelly provides an optimistic road map for the future, showing how the coming changes in our lives - from virtual reality in the home to an on-demand economy to artificial intelligence embedded in everything we manufacture - can be understood as the result of a few long-term, accelerating forces. Innovation expert Clayton M. Christensen says outstanding companies can do everything right and still lose their market leadership—or worse, disappear altogether. And not only does he prove what he says, but he tells others how to avoid a similar fate. Focusing on “disruptive technology,” Christensen shows why most companies miss out on new waves of innovation. In his latest, thrilling foray into the future, a great inventor and futurist envisions an event--the "singularity"--in which technological change becomes so rapid and so profound that human bodies and brains will merge with machines.